Utmed E18 blir täckningen nu ännu bättre. 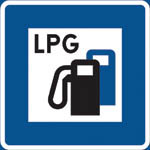 Gas Industripartner öppnar ett tankställe i Karlskoga. Mer information hittar du på listan Motorgastankställen i Sverige. This entry was posted on tisdag, 22 maj, 2018 at 09:48 and is filed under Tankställen. You can follow any responses to this entry through the RSS 2.0 feed. Both comments and pings are currently closed.